It only takes a minute to drop us a note or give us a call to find out more. Let us show you how implementing Beck Ag’s data-driven, go-to-market strategies can make a difference in your business. 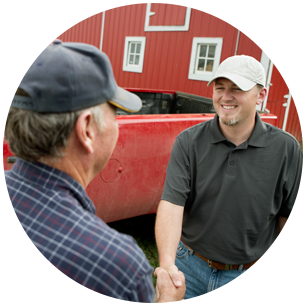 Are you passionate about agriculture, dedicated to excellence and interested in becoming a part of advancing the industry one conversation at a time? Do your personal guiding principles match our own as shown below? If you answered yes, check out our open positions below and send a cover letter and current resume to info@beckag.com! Encourage individual responsibility and opportunity. Treat complacency as a disease and continually work to better our company and ourselves. Create an environment that enables our people to have balanced and productive lives. Focus our mindset and activities toward helping our clients and their customers grow their businesses.